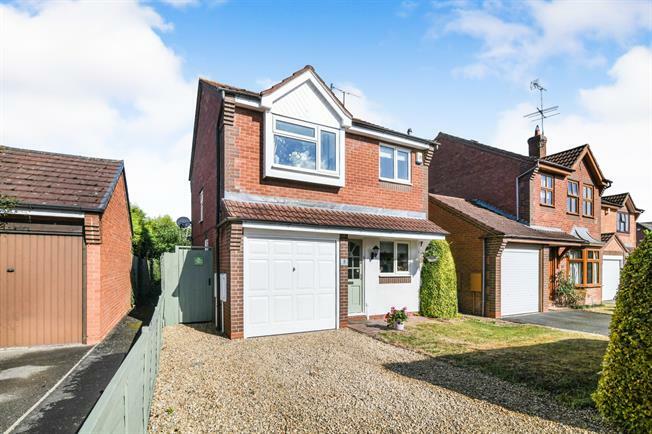 3 Bedroom Detached House For Sale in Worcester for Offers Over £230,000. A great opportunity to acquire an immaculately presented three bedroom detached family home in the centre of Warndon Villages, this property boasts of downstairs utility, kitchen and lounge leading to conservatory and rear garden, upstairs there are three bedrooms and a family bathroom. This property also offers a garage, off road parking and a god sized rear garden.